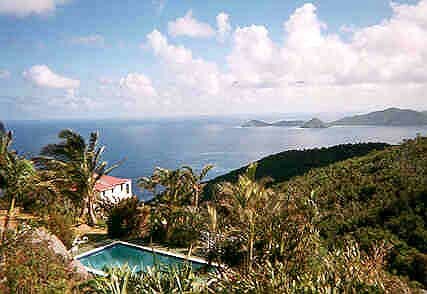 The group travelled to Tortola, BVI for the 1998 CQ WW SSB Contest. 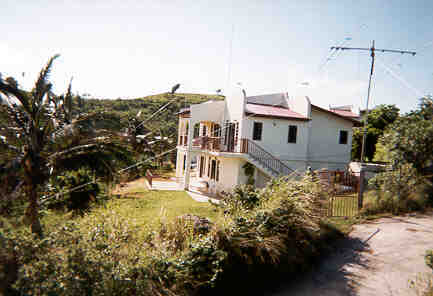 We operated from the Lloyd Hill Villas, partly because of its elevation and clear path to Europe, as can be seen below. 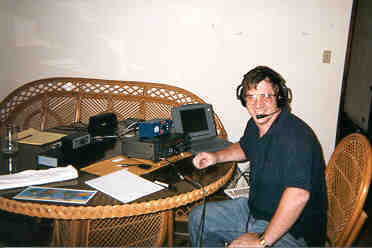 Operators included Mark, N7MQ; Al, K7AR; Jim, K9JF; Bob, W7YAQ; Ron, WJ7R and Lee, N7NU. Each operator had their own portable VP2V/ callsign and made many contacts outside the contest period. 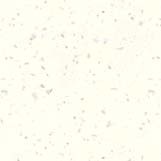 About 10,000 contacts were made overall. The view to EU and NA. Nothing in the way but water. 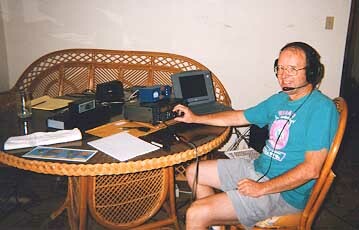 Bob, W7YAQ during the contest. Bob mysteriously turns into Lee, N7NU at the same station.